Warren Buffett, one of the world’s most successful investors, nurtured his vision from a young age. He always knew he would be successful when he grew up. For that reason, his dream stayed rooted in his mind. Throughout the years, it remained rock-solid and consistent. Indeed, his vision came to pass. Why is Warren Buffett’s story unique and inspiring? He had a simple, powerful system in place. This system continued with him through his successful career as a businessman. There is a lot you can learn a lot from Warren’s system. It’s simply about life lessons he developed and kept. It shaped his future, grew his business and cared for his staff. He understands the principle of how to live a happy life. First, he set goals. He worked towards achieving those goals which started when he was a young boy. At just 11-year-old, he visited the New York Stock Exchange and bought his first shares. He bought one for himself and three for his sister. When he was 13, he worked as a morning and an afternoon newspaper delivery boy. He set a short-term goal to make $1000. He saved his wages and met his goal. In addition to delivering newspapers, he went door-to-door selling golf balls, stamps, cocoa cola and magazines. While doing that, he worked as an editor for Stable-Boy-Selections. Two years later, at 15, he invested $2000 by buying a 40-acre farm in Nebraska. He hired a farm worker to tend it and used the profits to pay for his university education. He’s modest. 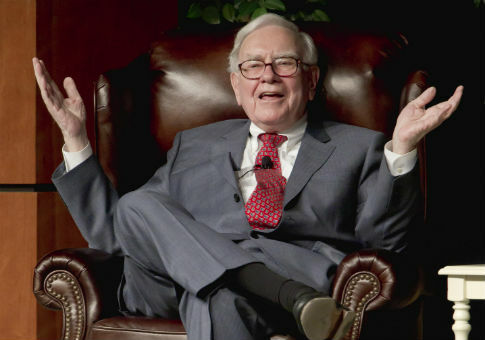 Despite Warren’s great wealth, in the 50s, he bought a simple three bedroom house in Omaha, Nebraska for $31,500 and named it Buffett’s Folly. He’s still living there. He’s humble. Although Warren was a billionaire in 2012, he was driving a Cadillac he bought 7 years before. He drove it himself. He didn’t have a driver. He enjoyed being alone in his car and used that time to think and read. Warren writes a letter to each of the CEOs of his companies setting goals for the year ahead. He doesn’t bombard his staff with endless meetings or phone calls. He trusts his CEOs to achieve the yearly goals he sets them. It’s important to employ the right people for roles in a company. He spends quality time with his family after work every day. Family should always come before business. Listen to your customers and give them what they want, not what you want. Warren’s loyalty to his customers has always influenced the purchase of his companies since the early 60s. He said, “No company does well – in the long run – ignoring its customers.” He believes in high customer loyalty. Warren is known for going out to watch his customers. He develops good customer experiences based on his observations. Instead of wasting your money on unnecessary things, give to those who need it. In June 2006, he announced in a letter to Bill and Melinda Gates his intention to leave most of his wealth to charity. The majority of it will go to the Bill & Melinda Gates Foundation. Don’t let money control you. You are the master of money. When you allow money to control you – worrying about the lack of it – this results in stress. As of March 2016, Buffett’s net worth was more than $65 billion. That’s a staggering amount of money. Running a successful business is more than chasing money and living an extravagant lifestyle. Focus on the essential things such as family, investing in yourself, staying humble when the money starts rolling in and looking after your customers.